Darwin's theory of evolution was for more than a century dogged by a major problem: the evidence proving the connections between the main groups of organisms was nowhere to be found. By the 1970s this absence of 'transitional fossils' was hotly debated; some palaeontologists wondered if these 'missing links' had been so quick that no trace of them was left. However, during the past three decades fossils of walking whales from Pakistan, feathered dinosaurs from China, fish with feet from the Arctic Circle, ape-like humans from Africa, and many more bizarre creatures that fill in crucial gaps in our understanding of evolution have all been unearthed. 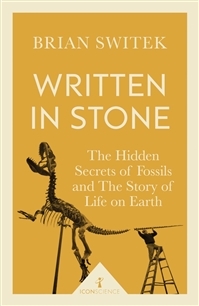 The first account of the hunt for evolution's 'missing links', Written in Stone shows how these discoveries have revolutionised palaeontology, and explores what its findings might mean for our place on earth.